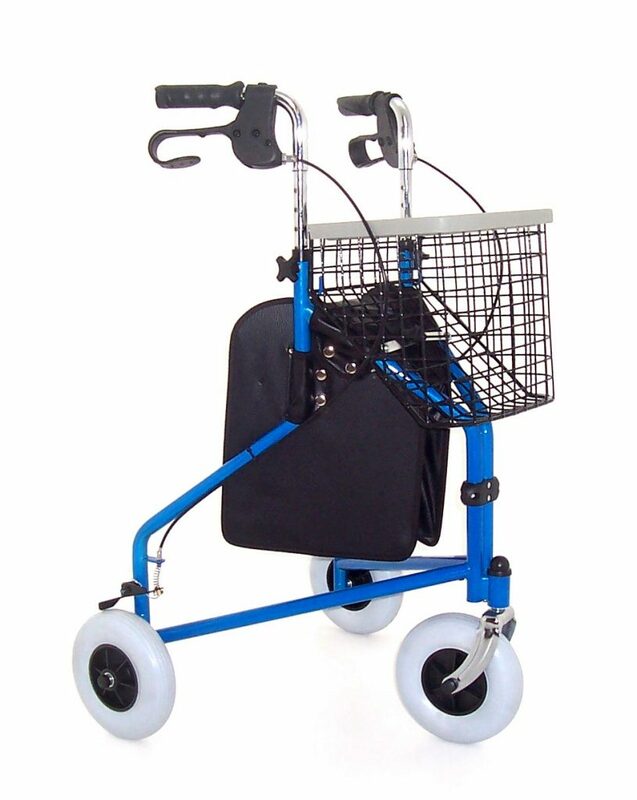 Folding steel tri-walker. 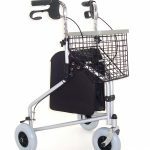 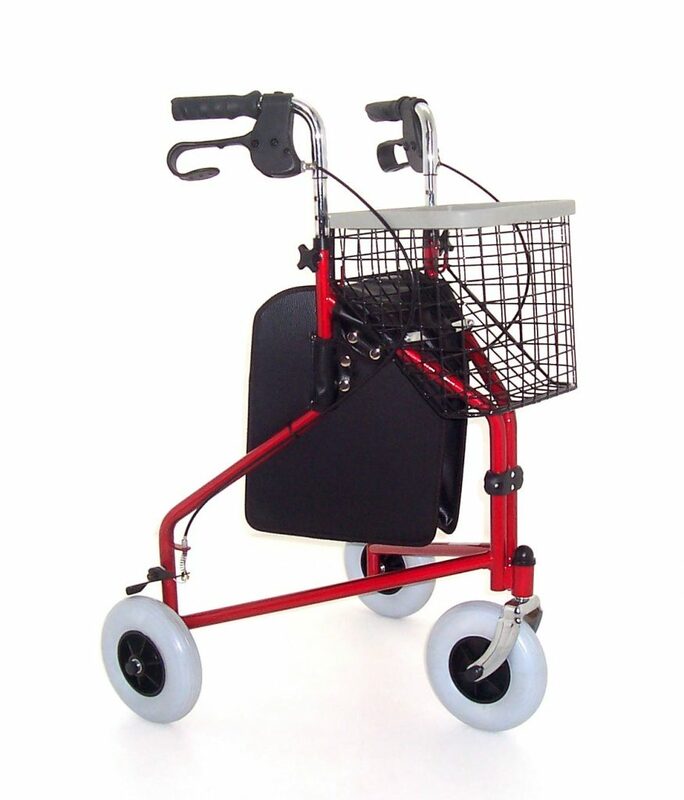 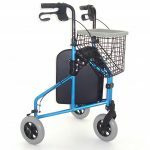 It has height adjustable handles and locking arthritic loops brakes. 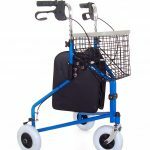 Made of robust steel it comes complete with a basket, shopping bag and tray.